Previously a consumer-focused mobile lifestyle loyalty app, Perx revamped under the leadership of Anna Gong when she assumed the role of CEO in 2014. Fresh from their USD$5 million Series B funding, the company intends to “aggressively” expand into the Southeast Asian region and eyes EMEA, India, Korea, and Japan this fiscal year. How did Anna Gong, CEO and founder of Singapore-based Perx Technologies, “[orchestrate] a full-fledged pivot” that turned the simple lifestyle loyalty app into an enterprise cloud B2B2C platform, secure its foothold in the marketing technology (MarTech) space, and raise US$5 million funding from the likes of LINE Ventures, Access Ventures, and Facebook co-founder Eduardo Saverin? We got the opportunity to speak with her and find out how she went from working at PwC, to hustling in Silicon Valley, to becoming CEO of a Singapore SME. “Perx was a pioneer in the market with providing a mobile-first loyalty app for consumers since 2011,” Anna described. She lauded the two original co-founders’ work in Perx’s early years but shared that the B2C mobile loyalty app market “eventually got quite crowded by 2014”. “Functioning just as a marketplace of loyalty memberships for consumers wasn’t a sustainable business model by itself,” she reasoned. She added that Perx lacked the “utility” or presence that would make consumers feel like it’s indispensable. Banks, telcos, and other large retail groups were also developing similar mobile lifestyle products that could address their own digital transformation needs. Ultimately, they concluded that it wasn’t sustainable to compete with all of them. However, Anna saw an opportunity to enable businesses with a next-generation customer engagement and loyalty SaaS (software as a service) integrated solution. “I decided to pivot the company entirely to a large enterprise play,” she said. Saverin and Anna, amongst other investors, participated in that round and they raised a “single-digit million dollar” amount, according to this 2016 feature. Shortly after launching the new B2B business model in March 2016, Perx found the product market fit with large B2C enterprises. “[We] proved we could not only help with automating and unifying their complex marketing and customer data management processes, but also help them with achieving new revenue streams that they weren’t able to achieve with their existing solutions or marketing agencies,” Anna said. Now, the company shared that its enterprise-grade, AI-enabled customer engagement and loyalty platform provider is powering big brands such as HSBC, Prudential, UOB, and Digi, among others. According to this, Anna, who was dubbed ‘The Turnaround Girl’, was headhunted by Perx to be the head of sales, and a year later, she became CEO. As CEO, she was credited to have doubled the number of registered users for the B2C app from 200,000 to 400,000 within her first year. “At that time, the number of users doubled largely due to our strategic partnership with EZ-Link. We were able to scale quickly with their high number of riders coming onto the co-branded Perx/EZ-Link loyalty app,” she told us. But EZ-Link eventually wanted to create their own loyalty app, which got Anna thinking about the company’s next steps should the partnership discontinue. She kept the B2C app up for some of the high traffic merchants and their users until 2018, focusing on developing their enterprise technology. Combining their experience and expertise in the B2C loyalty space with her enterprise software background turned out to be their unique value proposition. “The Perx platform is designed for large enterprises in mind, solving complex large-scale digital transformation and consumer engagement challenges,” Anna said. 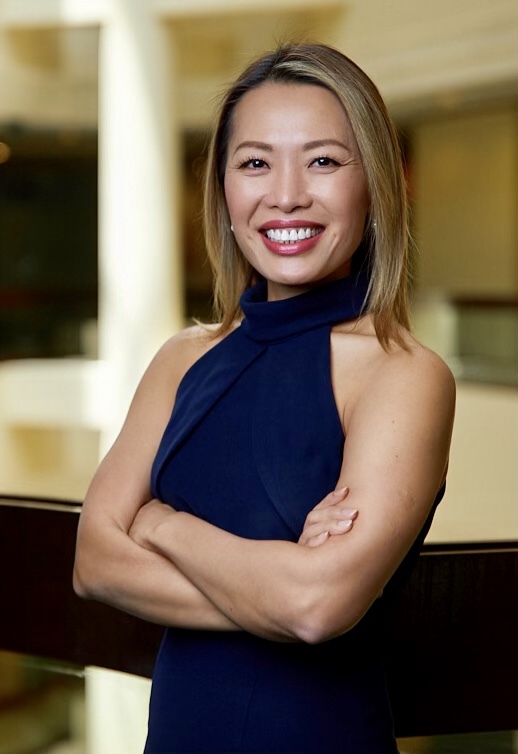 The University of California, Los Angeles (UCLA) Economics graduate started out in management consulting at Price Waterhouse Cooper (PwC) and made a “bold” career switch to a three-person startup, she said in an interview with Great Owls. At startups I was thriving, despite all the uncertainties, chaos, and roller coaster rides. With her experience in multiple startups, holding leadership roles that were based out of San Francisco, Anna went on to establish and manage the Asia Pacific (APAC) business for Wily Technology, the pioneer of web application performance and diagnostics. Wily was then acquired by CA Technologies in 2006 for US$375 million and Anna led the Cloud, Virtualization, and Service Automation business units for APAC and Japan there. Prior to joining Perx, her fifth experience in startups, Anna was Vice President of Channels Sales for Asia Pacific & Japan at Infor, an artificial intelligence, enterprise resource planning (ERP) software provider for enterprises. 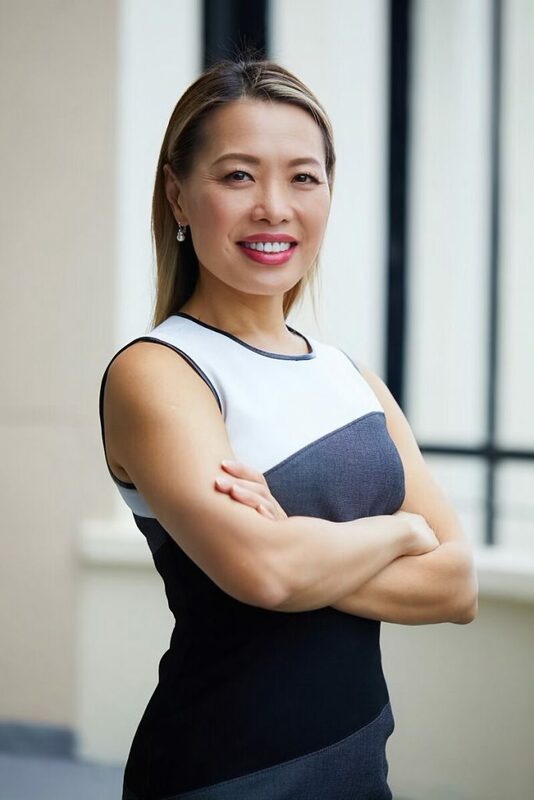 She has over 20 years of technology experience in management consulting and enterprise software, and has won the Singapore Women Entrepreneur Award 2017 and LinkedIn 2017 CEO Power Profiles. The TEDx speaker has spoken at numerous notable tech conferences and has given keynotes on leadership, digital transformation, and entrepreneurship for large corporates and conferences. Last year, Perx partnered with Oracle and joined its banking fintech ecosystem, successfully integrating with Oracle Open Banking APIs. Its recent Series B USD$5 million injection will be used to expand its “highly personalised engagement platform”, strengthening R&D efforts, intensifying client acquisition activities, and growing partnerships with global software and tech firms, the press release said. Saverin, who is a returning investor, having invested in Perx’s Series A round in 2015, recognised the firm’s capabilities. “The company’s rapid growth on the back of its swift and quantifiable approach to consumer engagement demonstrates its ability to tap into this underserved segment,” he added. Seeing its transformation and its current portfolio of major corporate clients, we asked if an SME be also be able to access Perx’s benefits. The short answer is, no – or at least, not yet. “Many SaaS companies start off with a solution focused on SMEs first and then move into the large enterprise sector once they have scale,” Anna explained. Larger enterprises also tend to be more strategic. Once you’re in, you’re in there for five to 10 years. They noticed adtech and marketing technology solution providers selling to smaller retailers and franchise brands and specially integrating with their point-of-sales (POS) and found that it wasn’t a scalable model for them. “We believe that large enterprises are stickier, they have more complex requirements, and they are all must-have services (from a consumer standpoint) such as banking, insurance, telcos, and large retail conglomerates,” Anna said. Their user base will be consistent or only grow while they journey to the digital/mobile-first banking or lifestyle services approach. Now that they have a “proven track record with large enterprises”, Perx is looking at “moving downstream” to reach the medium-sized businesses. When the B2C SME market becomes “more sophisticated in technology adoption”, Anna said, Perx will then target that segment. “Currently, we enable the banks and telco ecosystem to serve and build better partnerships with their merchants and partners,” she added. The revamped Perx Technologies is two-and-a-half years old and has grown over 200% year-on-year, Anna told us. She believes that timing and technology adoption “are everything” and that the company is seeing “tremendous demand in the market” currently. Anna also projects five times growth this fiscal year. Perx has customers in Singapore, Malaysia, Thailand, the Philippines, and Hong Kong. “We are aggressively investing in Indonesia, Vietnam and the rest of Southeast Asia this year,” she stated.